The cogeneration sector is committed to creating a resilient, decentralised, carbon neutral European energy system by 2050 with cogeneration as its backbone. Being consumer-led, cogeneration empowers European citizens and industry to generate their own efficient, reliable and affordable clean heat and power locally. Cogeneration is uniquely positioned to bring together heat, electricity and gas networks in a single energy system. This will enable the integration of substantial amounts of renewable energy, supplying efficient energy where and when needed. By recovering heat that would normally be wasted in power-only generation processes, cogeneration makes Europe’s energy system more efficient, saves energy, cuts CO2 emissions and lowers energy costs. Cogeneration provides flexibility across heat, electricity and gas networks and sectors by relying on short, medium and long-term storage to balance energy supply and demand. As such, it will play a key role in integrating renewable energy, such as variable wind and solar power, but also dispatchable sources like biomass, biogas and hydrogen, maximising their efficient use and value in the economy. Another key benefit is that, being located close to the point of consumption, cogeneration avoids costly and lengthy grid reinforcements. The cogeneration benefits make it play a strong role today, and that will grow in the future. Cogeneration currently provides 11% of Europe’s electricity and 15% of its heat, contributing up to 21% of the EU’s CO2 reduction target and 14% of the EU’s energy efficiency target. In its new vision, the cogeneration sector sees a growing pathway for cogeneration in Europe. 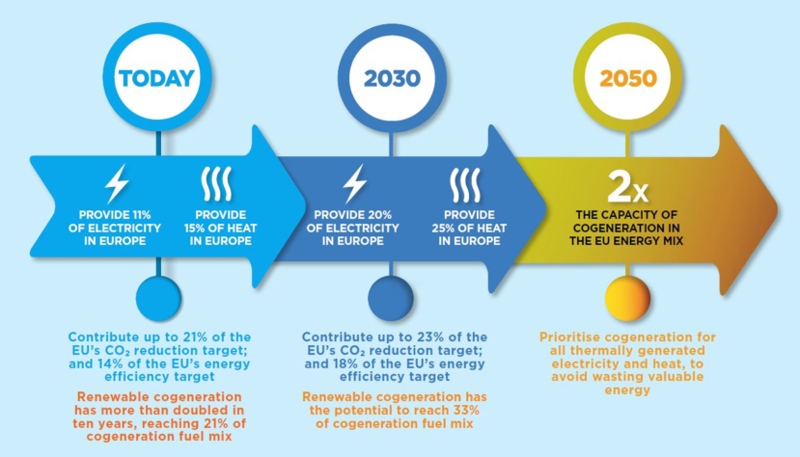 By 2030, cogeneration could provide 20% of electricity and 25% of heat in Europe, contributing up to 23% of the EU’s CO2 reduction target and 18% of the EU’s energy efficiency target. By 2050, the sector would like to double the capacity of cogeneration in the EU energy mix by ensuring that cogeneration is prioritised for all thermally generated electricity and heat, in so doing avoiding wasting valuable energy. The new vision was endorsed by COGEN Europe’s 56 members which comprises 13 national associations and 43 organisations spanning the entire energy value chain from technology manufacturers and energy service companies to industrial users and utilities. 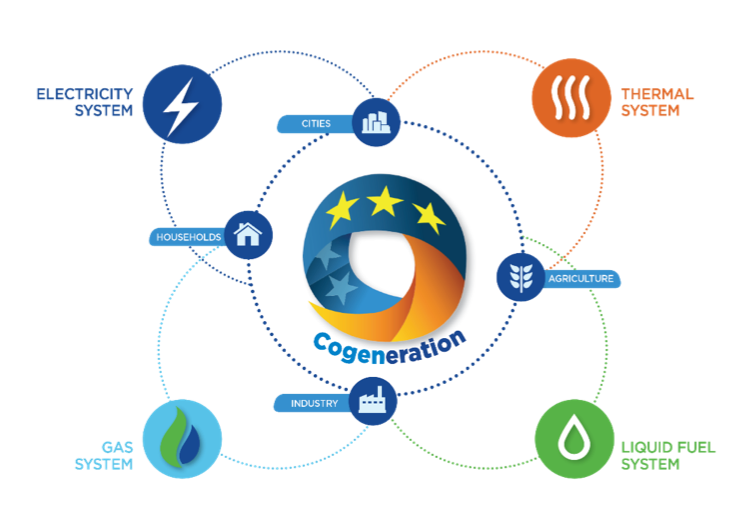 COGEN Europe believes that a reliable, affordable and climate-friendly energy system can be built with their collaborative efforts.